HL Hydraulic, Inc is a leading supplier of high pressure pneumatic control valves and systems for the electrical power industry. HL Hydraulic Manufactures the complete Schrupp range of high pressure Pneumatic control valves, dryers, safety valves, check valves,manual shut off valves, pressure maintaining valves, and complete high pressure pneumatic compressor stations and systems. 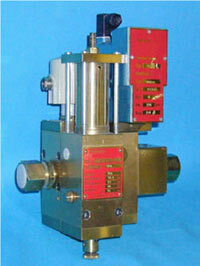 Schrupp HP Pneumatic valves are available with pressures to 350 bar.